The short answer is that all law, except “Natural Law” like the Law of Gravity, comes from religion. Some people wrinkle their noses, but it has to be discussed because it is the truth. Modern psychology tells us that about five percent of us are born without a conscience. We call these people sociopaths and label them with various other descriptive names, but the bottom line is that they have no natural compass with respect to right or wrong. They learn what the rest of us consider right or wrong by rote, the same way a dog learns to fetch a newspaper without being able to read it, but they truly don’t have a clue why the rest of us consider certain things like stealing, lying, or adultery to be “wrong”. So how do we get these ideas in the first place? Part of it is natural empathy, which most of us possess. We hate it when someone lies about us or something or someone we care about, so we come to the conclusion that lying is wrong. In the same way, we conclude that stealing is wrong, and so on. Throughout this planet there is a generalized understanding of what is “right” and what is “wrong” on this basis alone. Organized religions have, again, generally speaking, taken these basic conclusions and according to their own history and traditions have made them part of their doctrine— their rules of belief and behavior by which their society is defined and identified. That process has, in turn, given rise to their systems of law and concepts of justice. The Western World has been dominated by Judaism and Christianity and Islam for the last two millennia. All three of these major world religions are rooted in one book— The Bible, and in particular, the Old Testament of the Bible. It should come as no surprise from the foregoing that all forms of law currently used by western societies including Sharia Law have their roots in the Old Testament, and the Bible remains the basis of all Law of the Land…. 1. The natural world is organized according to air, land, and sea. 2. The systems of law and the governments and institutions of men have also been organized according to “jurisdictions” of air, land, and sea. 3. The jurisdiction of the land is national in nature. 4. The jurisdiction of the sea is international in nature. 5. The jurisdiction of the air is global in nature. 6. All actual assets, gold, silver, land, etc., have their existence on or in the land. 7. All fictional assets, titles, stocks, bonds, etc. have their existence on or in the sea. designated for international trade and travel. 9. As a result, a “corporate” entity which is private and non-commercial and unincorporated, like a Mom and Pop business, for example, Steve’s Food Store, may interface with and do business with an “incorporated” entity established by a corporate charter, like Food Services of America, Inc.
10. This sort of business relationship takes place in the realm of International Trade, not Commerce, because Steve’s Food Store is not incorporated. 11. In order for commerce to occur both entities must be incorporated and functioning under a charter granted by an unincorporated (sovereign) entity. 12. Unincorporated businesses function under “full commercial liability” and have to “indemnify” themselves. 13. Incorporated businesses function under “limited commercial liability” and have to “insure” themselves. 14. As a result, an unincorporated government such as the Shawnee Tribal Council or the United States of America (Unincorporated) can charter an incorporated business, such as Grand Fox, Inc., or the State of Illinois, Inc., but no incorporated entity can create an unincorporated one. 15. This is because a man can create and name an organization and stipulate a purpose and function for that organization, but such an organization cannot create a man. 16. In the past, unincorporated governments have created and chartered governmental services corporations in an effort to manage risk. So, the United States of America (unincorporated) or Delaware (unincorporated) could create and charter a commercial incorporated entity called the USA, Inc., or Delaware, Inc. or State of Oregon. 17. Those incorporated (chartered) entities, such as the State of Oregon were then free to establish relationships with other incorporated entities (that is, conduct commerce) and to spin off municipal franchises like the STATE OF OREGON. 18. Now that you see how this process works and know that the unincorporated entity (corporate but not incorporated) is really the source of all power in this system, the following pages will make better sense. unincorporated, and if it is incorporated, under what charter and ownership? The first order of law is Natural Law based on universal principles which agree with the nature and state of people without which the peace and happiness of society can never be preserved. Knowledge of natural laws may be attained merely by reason and from facts that agree with human nature. Natural Law exists regardless of whether it is enacted as statutory law. The Golden Rule compels us to intervene when basic human rights violations take place. Natural Law provides people with the right to sanctuary, the right to contract voluntarily provided that we are trustworthy, and the right to obtain all knowledge necessary to inaugurate a truly viable future, amongst other rights. These rights are to be enjoyed by all men and women, and have never been – nor will ever be – the monopolized “property” of any group that isolates itself from the whole. (3) Respect the free will of others so long as it does no harm — are sufficient to rule the affairs of men and nations, if you adopt them and keep them and require your governments to do the same. Do no harm, cause no loss, let freedom reign. From this statement, a number of conclusions follow: Mankind has never at any time or in any place been without law. The original source of law is within us, not outside us. Thus any model of law which does not consider its source within our human nature, but treats it only as a construct external to man, is defective and incomplete. Any outer expression of law in the form of speech or writing is, without exception, the ex post facto product or offspring of an internal precursor, which is inherent in our human nature. From the first creation of mankind, this inborn, inherent law has always regulated, from within us, what is right and honourable (bonum et aequum), what is just and equitable, what is lawful, what to do and what to avoid. Thus no-one may plead ignorance of these inner dictates of justice and equity. Judge Andrew P. Napolitano, once a Fox News TV show host – and now an outspoken critic of the US government – delivered a short, intriguing, and, I believe, important speech at the Mises Institute in Costa Mesa, California, on November 8th, 2014. More was appealing to the jury of the Laws of Nature that restrain even the government. This was the classic Natural Law argument. More was not the originator of this argument; that was Saint Thomas Aquinas nearly 800 years ago. The English liberal philosopher John Locke picked up on this, as did Thomas Jefferson when he wrote the Declaration of Independence, and James Madison when he was a Scrivener for the US Constitution. Thomas Jefferson’s version of More’s phrase – “We are endowed by our creator with certain inalienable rights and among these are life, liberty, and the pursuit of happiness” – articulates the view that our rights come from our humanity. Napolitano asks: What are these rights that come from humanity? And how can the government trample them? The concept of Natural Rights articulated by Aquinas is that there are areas of human behavior for which we do not need a government permission slip in order to make free choices. Things like freedom to develop your own personality, to think as you wish, to say what you think, the right to worship or not to worship, to assemble in groups or to refuse to assemble, to petition the government for redress of your differences, and the right to defend yourself against tyrants. These are the quintessential ‘American rights’. The right to be left alone, for example, codified in the Fourth Amendment today is called the ‘right to privacy’. Napolitano answers with the theory that we have surrendered some of our rights to the government so that the government will protect the rights that we have not surrendered. The idea is that the government derives its power from the consent of the governed. He argues that no one is alive today that consented when the Constitution was enacted, therefore it is a fiction. The fiction is that we consented to surrender our rights where in reality our rights have been stolen from us through the use of force. He goes on to explain the theory that what was surrendered to the government was limited to 16 discrete, unique, separately stated and articulated powers in the Constitution. The 9th Amendment says that just because we’ve listed a bunch of rights in the first 8, there are many others and it would be impossible to list them all. Then the 10th Amendment explains that just because we’ve given some power to the Federal Government – we the states – that doesn’t mean we’ve given them all power. That is the concept of limited government. The government must stop when it wants to touch our Natural Rights. An example Napolitano gives is the fingers on his hand: “They belong to me. They cannot be taken away by majority vote or by legislation or by the commander of the Executive. They can only be taken away if I give them up myself. Such is the case if you rob a bank: you violate the Natural Rights of the depositors. You can then be prosecuted and have your freedom of movement taken away because you surrendered your Natural Rights by robbing a bank. So you can voluntarily surrender your own Natural Rights but you can’t surrender somebody else’s Natural Rights because they are owned by the individual. Not collectively, not by groups nor government, but by individuals. That was the theory of the Declaration of Independence, the Constitution and the founding generation of the United States of America. Regrettably it is no longer the theory today. Napolitano goes on to state that today the government, to which none of us has consented, claims it has the authority by majority vote to assault those liberties that are a part of our humanity. He argues that our Natural Rights are ours and not the government’s to be taken away. The Constitution was written to prevent the government from doing that except by due process. Due process means if I rob a bank and they want to take away my freedom, they have to give me a jury trial and the full panoply of protections that come with it. Natural Rights can be summarized in four words: the presumption of liberty. This means we are self-directed. We make our own choices. It is not our obligation to prove we are unworthy of incarceration. It is the government’s profound, unique obligation to prove that we are worthy of incarceration and it must do so before a jury of our peers. Napolitano agrees that it is an imperfect system but that is the best system that we can come up with. The presumption of liberty, Napolitano explains, is that the rights we did not surrender to the government are retained for ourselves. They cannot be taken away by popular vote or a majority in the legislature or a command by a governor or a president. Is there any legitimate activity government has in a free society? Yes. To protect the Natural Rights of the people in that society. Meaning, instead of assaulting my freedom, my life, my liberty, and my property, the government should be protecting it! Thomas More, arguing as his own lawyer for alleged treason, for refusal to acknowledge Henry VIII as the head of the Roman Catholic Church of England. For that refusal he was beheaded. When he was making his case to the jury, well of course the parliament or the king cannot make the round earth flat. Of course they cannot make a flat earth round. He is not only appealing to the common sense of his juries, he is appealing to their understanding of the natural law. Their understanding of the order of things, their understanding of the immutable laws that regulate and control even the king! It is unfortunate that our present day kings, in their incredible arrogance, still seem to think that, they can make things in the world of ideas, behave in exactly the same way as things in the physical world. Our kings of today are in fact, playing God. Thomas Aquinas is generally regarded as the West’s pre-eminent theorist of the natural law, critically inheriting the main traditions of natural law or quasi–natural law thinking in the ancient world (including the Platonic, and particularly Aristotelian and Stoic traditions) and bringing elements from these traditions into systematic relation in the framework of a metaphysics of creation and divine providence. His theory sets the terms of debate for subsequent natural law theorizing. Thomas argues outright in the very first article of the first question of the Treatise on Law, that law (lex) essentially can be seen as an ordinance of reason directing activity toward some end, goal, or purpose, and the highest end or purpose we have as humans is our ultimate fulfillment, the full realization of our nature, or “happiness” as is commonly said in English. Hence all law is meant to sub-serve human happiness. But law has by common acknowledgement and usage a social function as well: it directs the activity of some collectivity to a common goal, and it does this authoritatively. So the true purpose of law is to sub-serve the happiness of all in the community. But law does not merely recommend or suggest, it binds and commands. Lawmakers in our familiar experience are thus recognized authority figures within a social community who address themselves to the reason of the members of that community, commanding them to shape their actions in certain specified ways. John Locke (b. 1632, d. 1704) was a British philosopher, Oxford academic and medical researcher. Locke’s monumental An Essay Concerning Human Understanding (1689) is one of the first great defenses of empiricism and concerns itself with determining the limits of human understanding in respect to a wide spectrum of topics. It thus tells us in some detail what one can legitimately claim to know and what one cannot. Locke’s association with Anthony Ashley Cooper (later the First Earl of Shaftesbury) led him to become successively a government official charged with collecting information about trade and colonies, economic writer, opposition political activist, and finally a revolutionary whose cause ultimately triumphed in the Glorious Revolution of 1688. Among Locke’s political works he is most famous for The Second Treatise of Government in which he argues that sovereignty resides in the people and explains the nature of legitimate government in terms of natural rights and the social contract. He is also famous for calling for the separation of Church and State in his Letter Concerning Toleration. Much of Locke’s work is characterized by opposition to authoritarianism. This is apparent both on the level of the individual person and on the level of institutions such as government and church. For the individual, Locke wants each of us to use reason to search after truth rather than simply accept the opinion of authorities or be subject to superstition. He wants us to proportion assent to propositions to the evidence for them. On the level of institutions it becomes important to distinguish the legitimate from the illegitimate functions of institutions and to make the corresponding distinction for the uses of force by these institutions. Locke believes that using reason to try to grasp the truth, and determine the legitimate functions of institutions will optimize human flourishing for the individual and society both in respect to its material and spiritual welfare. This in turn, amounts to following natural law and the fulfillment of the divine purpose for humanity. John Locke (1632–1704) was one of the greatest philosophers in Europe at the end of the seventeenth century. Locke grew up and lived through one of the most extraordinary centuries of English political and intellectual history. It was a century in which conflicts between Crown and Parliament and the overlapping conflicts between Protestants, Anglicans and Catholics swirled into civil war in the 1640s. With the defeat and death of Charles I, there began a great experiment in governmental institutions including the abolishment of the monarchy, the House of Lords and the Anglican church, and the establishment of Oliver Cromwell’s Protectorate in the 1650s. 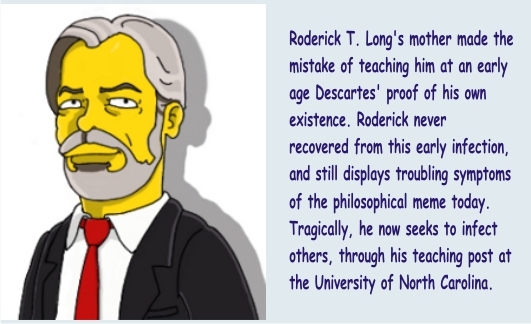 Locke’s Some Thoughts Concerning Education and his Conduct of the Understanding form a nice bridge between An Essay Concerning Human Understanding and his political works. Nathan Tarcov and Ruth Grant write in the introduction to their edition of these works: “The idea of liberty, so crucial to all of Locke’s writings on politics and education, is traced in the Essay to reflection on the power of the mind over one’s own actions, especially the power to suspend actions in the pursuit of the satisfaction of one’s own desires until after a full consideration of their objects (II. xxi 47, 51–52). The Essay thus shows how the independence of mind pursued in the Conduct is possible.”(Grant and Tarcov (1996) xvi). Some Thoughts Concerning Education was first published in 1693. In advocating a kind of education that made people who think for themselves, Locke was preparing people to effectively make decisions in their own lives — to engage in individual self-government — and to participate in the government of their country. The Conduct reveals the connections Locke sees between reason, freedom and morality. Reason is required for good self-government because reason insofar as it is free from partiality, intolerance and passion and able to question authority leads to fair judgment and action. We thus have a responsibility to cultivate reason in order to avoid the moral failings of passion, partiality and so forth. (Grant and Tarcov (1996) xii) This is, in Tarcov’s phrase, Locke’s education for liberty. I turn now to Locke’s political writings. It is worth noting that the entry on Locke’s Political Philosophy, focusing on five topics, the state of nature, natural law, property, consent and toleration, goes into these topics in more depth than is possible in a general account and provides much useful information on the debates about them. The introduction of the work was written latter than the main text, and gave people the impression that the book was written in 1688 to justify the Glorious Revolution. We now know that the Two Treatises of Government were written during the Exclusion crisis and were probably intended to justify the general armed rising which the Country Party leaders were planning. It was a truly revolutionary work. If we consider the state of nature before there was government, it is a state of political equality in which there is no natural superior or inferior. From this equality flows the obligation to mutual love and the duties that people owe one another, and the great maxims of justice and charity. Was there ever such a state? There has been considerable debate about this. Still, it is plain that both Hobbes and Locke would answer this question affirmatively. If one takes survival as the end, then we may ask what are the means necessary to that end. On Locke’s account, these turn out to be life, liberty, health and property. Since the end is set by God, on Locke’s view we have a right to the means to that end. So we have rights to life, liberty, health and property. These are natural rights, that is they are rights that we have in a state of nature before the introduction of civil government, and all people have these rights equally. Locke does not intend his account of the state of nature as a sort of utopia. Rather it serves as an analytical device that explains why it becomes necessary to introduce civil government and what the legitimate function of civil government is. Thus, as Locke conceives it, there are problems with life in the state of nature. The law of nature, like civil laws can be violated. There are no police, prosecutors or judges in the state of nature as these are all representatives of a government with full political power. 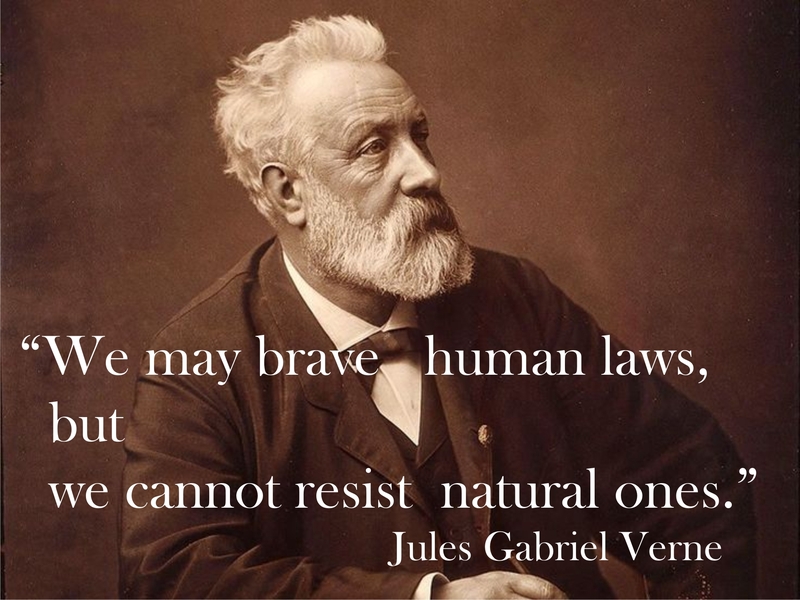 The victims, then, must enforce the law of nature in the state of nature. In addition to our other rights in the state of nature, we have the rights to enforce the law and to judge on our own behalf. We may, Locke tells us, help one another. We may intervene in cases where our own interests are not directly under threat to help enforce the law of nature. Still, the person who is most likely to enforce the law under these circumstances is the person who has been wronged. The basic principle of justice is that the punishment should be proportionate to the crime. But when the victims are judging the seriousness of the crime, they are more likely to judge it of greater severity than might an impartial judge. As a result, there will be regular miscarriages of justice. This is perhaps the most important problem with the state of nature. Just as natural rights and natural law theory had a florescence in the 17th and 18th century, so did the social contract theory. So, while Locke might admit that some governments come about through force or violence, he would be destroying the most central and vital distinction, that between legitimate and illegitimate civil government, if he admitted that legitimate government can come about in this way. So, for Locke, legitimate government is instituted by the explicit consent of those governed. (See the section on consent, political obligation, and the ends of government in the entry on Locke’s political philosophy.) Those who make this agreement transfer to the government their right of executing the law of nature and judging their own case. These are the powers which they give to the central government, and this is what makes the justice system of governments a legitimate function of such governments. Ruth Grant has persuasively argued that the establishment of government is in effect a two step process. Universal consent is necessary to form a political community. Consent to join a community once given is binding and cannot be withdrawn. This makes political communities stable. Grant writes: “Having established that the membership in a community entails the obligation to abide by the will of the community, the question remains: Who rules?” (Grant, 1987 p. 115). The answer to this question is determined by majority rule. The point is that universal consent is necessary to establish a political community, majority consent to answer the question who is to rule such a community. Universal consent and majority consent are thus different in kind, not just in degree. Grant writes: Locke’s argument for the right of the majority is the theoretical ground for the distinction between duty to society and duty to government, the distinction that permits an argument for resistance without anarchy. When the designated government dissolves, men remain obligated to society acting through majority rule. It is entirely possible for the majority to confer the rule of the community on a king and his heirs, or a group of oligarchs or on a democratic assembly. Thus, the social contract is not inextricably linked to democracy. Still, a government of any kind must perform the legitimate function of a civil government. Locke is now in a position to explain the function of a legitimate government and distinguish it from illegitimate government. The aim of such a legitimate government is to preserve, so far as possible, the rights to life, liberty, health and property of its citizens, and to prosecute and punish those of its citizens who violate the rights of others and to pursue the public good even where this may conflict with the rights of individuals. In doing this it provides something unavailable in the state of nature, an impartial judge to determine the severity of the crime, and to set a punishment proportionate to the crime. This is one of the main reasons why civil society is an improvement on the state of nature. An illegitimate government will fail to protect the rights to life, liberty, health and property of its subjects, and in the worst cases, such an illegitimate government will claim to be able to violate the rights of its subjects, that is it will claim to have despotic power over its subjects. At the end of the Second Treatise we learn about the nature of illegitimate civil governments and the conditions under which rebellion and regicide are legitimate and appropriate. As noted above, scholars now hold that the book was written during the Exclusion crisis, and may have been written to justify a general insurrection and the assassination of the king of England and his brother. The argument for legitimate revolution follows from making the distinction between legitimate and illegitimate civil government. A legitimate civil government seeks to preserve the life, health, liberty and property of its subjects, insofar as this is compatible with the public good. Because it does this it deserves obedience. An illegitimate civil government seeks to systematically violate the natural rights of its subjects. It seeks to make them illegitimate slaves. Because an illegitimate civil government does this, it puts itself in a state of nature and a state of war with its subjects. The magistrate or king of such a state violates the law of nature and so makes himself into a dangerous beast of prey who operates on the principle that might makes right, or that the strongest carries it. In such circumstances, rebellion is legitimate as is the killing of such a dangerous beast of prey. Thus Locke justifies rebellion and regicide (regarded by many during this period as the most heinous of crimes) under certain circumstances. Presumably this was the justification that was going to be offered for the killing of the King of England and his brother had the Rye House Plot succeeded. Fortunately, there have been people who have discovered that a Universal Law of Morality does exist and that the human heart is born with a natural ability to recognize it. Job did it, as well as Cicero and the Apostle Paul and Locke after him. Jefferson even echoed that it is self-evident. Even as children, we recognize when we have been wronged. It’s just that we lose this ability with time. As we grow more and more self-absorbed we lose touch with our conscience. But this does not mean that law ceases to exist: it does not. If it did; if there were no moral law; then the notion of any law would be an absurdity. The Natural Laws are not Written on paper, they are Written in our Hearts. You don’t know how an apple tastes until you taste it. You don’t know what a fish tastes like until you eat it. You don’t know how it is to be a woman unless you are one. You don’t know what it means to have a baby until you have one. So it is with the natural laws. An example: the natural law of forgiveness says, if you hate someone, pray for the person to be blessed with happiness, joy and all the blessings of the Great Spirit. You will not know about this law unless you do it. The natural law says love others as you love yourself. If you hate yourself or feel guilt in some area of yourself, you will tend to judge and condemn your neighbour. You teach your children by your example, not by your words. The natural laws are written in our hearts. This book is dedicated to the Benefit of All Sentient Beings, so That everyone Who reads this Book shall find Some measure of Peace. When law began to emerge into peoples’ conscience, deed, thought and word then followed the next order of law on earth. The most fundamental law of all human law has to do with survival which is a universal principle. It has to do with human interactions, of any kind, any relationships, buying, selling or trading or relating in any way. It is based upon treating or dealing with others the way that you would like to be treated or dealt with. This is the Law of Commerce. The Law of Commerce has been in operation since man interacted with each other starting many thousands of years ago through the Sumerian/Babylonian era where it was codified and enforced. Ancient artefacts dating over 6,000 old reveal that the system was so complex it even included receipts, coined money, shopping lists, manifestos and a postal system with the medium being in baked clay. The principles, maxims and precepts of Commerce Law are eternal, unchanging and unchangeable. They are expressed in the Bible, both the Old Testament and the New. The law of commerce has plagued people for more than 6000 years. This law of commerce, unchanged for thousands of years, forms the underlying foundation for all law and governments on earth. It is the Law of Nations and everything that human civilization is built upon. This is why it is so powerful. When people operate at this level, by these precepts, nothing that is of inferior statute can overturn or change it or abrogate it or meddle with it. It remains the fundamental source of authority and power and functional reality. However, we are finding in the 21st century that these laws are no longer being adhered to and leading to a lack of morals and ethics in commerce. Common Law procedures were based on the opportunity ‘to face your accuser or the injured party’ in front of witnesses to sort out the problem directly. This process was never intended to include ‘lawyers, attorneys or judges’ who are in fact ‘construing their own law’, as these ‘titles’ are all based upon the fiction of ‘representation’ which can never ‘be the real thing’. After common law come governments, and their laws and legislative regulations of the sovereign states. The only ‘laws’” that the state can create is to ‘allow commerce to flow more efficiently WITHIN the state’. The only ‘law’ that government can create is to ‘allow commerce to flow more efficiently BETWEEN the states.’ It was never intended to regulate people – the sovereigns. Below that is politics and the private copyrighted company policy of foreign corporations such as REPUBLIC OF SOUTH AFRICA (Pty) Ltd, … PROVINCE, THE MUNICIPALITYY OF…, THE CITY OF…, etc. The purpose of these “municipalities” [L munus service, gift, exchange + capere to take; to take service and exchange] is to “govern” fictitious entities such as JOHN DOE and SPAR – not to regulate people. One of our problems is that when we engage with government, municipalities and other such elements, in all our dealings in the law when have been conditioned to interact on and in the law of the sea as opposed to the law of the land. We have never risen to the level where all people are equal and accountable as peers at natural law and natural justice. This is the remedy against despotic tyrannies. Claude Frédéric Bastiat 1801-1850 was a French classical liberal theorist, political economist and member of the French National Assembly. After the middle-class Revolution of 1830 he became politically active and was elected justice of the peace of Mugron in 1831. He was elected to the national legislative assembly soon after the French Revolution of 1848. Bastiat’s most famous work is The Law, originally published as a pamphlet in 1850. It defines a just system of laws and then demonstrates how such law facilitates a free society. Like others, Bastiat recognized that the greatest single threat to liberty is government. Notice the clarity he employs to help us identify and understand evil government acts such as legalized plunder. Bastiat says, “See if the law takes from some persons what belongs to them, and gives it to other persons to whom it does not belong. See if the law benefits one citizen at the expense of another by doing what the citizen himself cannot do without committing a crime.” With such an accurate description of legalized plunder, we cannot deny the conclusion that most government activities, including ours, are legalized plunder, or for the sake of modernity, legalized theft. We support Bastiat in that the law becomes perverted when it punishes one’s right to self-defense (of his life, liberty, and property) in favor of another’s right to “legalized plunder,” which he defines as: “if the law takes from some persons what belongs to them, and gives it to other persons to whom it does not belong. See if the law benefits one citizen at the expense of another by doing what the citizen himself cannot do without committing a crime.” Bastiat was thus against redistribution. The following are extracts which are as necessary and relevant today as then. “What, then, is law? It is the collective organization of the individual right to lawful defence. Each of us has a natural right—from God—to defend his person, his liberty, and his property. These are the three basic requirements of life, and the preservation of any one of them is completely dependent upon the preservation of the other two. For what are our faculties but the extension of our individuality? Much has been written on what law is and every judge and jury would rule differently. In the U.S. statistics show that in only 19% of all cases do the judge and jury agree on the ruling. The only remedy in law As Frank Collins from Ucadia Law says is knowledge of the true concepts of law. There is only one genuine remedy in law and it is knowledge – Knowledge of the truth of law – Knowledge of the true concepts of law. So, if you are not prepared to read or think or listen, then you are doomed to fail, one way or another. Yes, knowledge of law takes time. For some who are facing imminent threat of danger, there might be the excuse that they do not have the time – they need an answer now. This fear and imminent threat is often part of the sale pitch for material that ends up making issues worse for people, not better. Yet, the argument that knowledge of the law takes too much time is a bold faced lie and a complete falsity. I will prove it to you now. Go and have a look at Article 7 on the Constitutional Charter of the Globe Union. In 144 articles, phrases and single sentences, is more knowledge of law than you will find in a thousand pages of handouts of seminars. You could spend a hundred thousand dollars in courses and claimed remedies and not find more valuable knowledge. Most people take the terms order, law, and government to be coextensive. Without government, there would be no law. Without law, there would be no social order. In fact, however, the three concepts are distinct. Law may be defined as that institution or set of institutions in a given society that adjudicates conflicting claims and secures compliance in a formal, systematic, and orderly way. Law thus defined is one species of social order, but not the whole of it; there are also less formal mechanisms for maintaining social order. Indeed, the vast bulk of cooperation in society in fact depends on informal order rather than on law. Law may be subdivided into voluntary and coercive law, depending on the means whereby compliance is secured. Voluntary law, as the name implies, relies solely on voluntary means, such as social pressure, boycotts, and the like, in order to secure compliance with the results of adjudication. Coercive law, on the other hand, relies at least in part on force and threats of force. Coercive law in turn may be further subdivided into monocentric and polycentric coercive law. Under monocentric coercive law, there is a single institution that claims, and in large part achieves, a coercive monopoly on the use of force to adjudicate claims and secure compliance in a given territorial area. This institution is called a government, and everyone other than the government and its agents is forbidden to adjudicate by force. Under polycentric law, by contrast, no one agency claims or possesses such a monopoly. An anarchist, then, is not someone who rejects order or law or even coercive law, but rather one who rejects government. The anarchist argues that informal order, voluntary law, and polycentric coercive law are sufficient to maintain social cooperation; the advocate of government argues that monocentric coercive law is needed in addition, and indeed typically maintains that the amount of social order that can be maintained through non-governmental sources alone is quite small. The continued existence of a free and democratic society depends upon recognition of the concept that justice is based upon the rule of law grounded in respect for the dignity of the individual and his capacity through reason for enlightened self-government. Law so grounded makes justice possible, for only through such law does the dignity of the individual attain respect and protection. Without it, individual rights become subject to unrestrained power, respect for law is destroyed, and rational self-government is impossible. Lawyers, as guardians of the law, play a vital role in the preservation of society. The fulfilment of this role requires an understanding by lawyers of their relationship with and function in our legal system. A consequent obligation of lawyers is to maintain the highest standards of ethical conduct. In fulfilling his professional responsibilities, a lawyer necessarily assumes various roles that require the performance of many difficult tasks. Not every situation which he may encounter can be foreseen, but fundamental ethical principles are always present to guide him. Within the framework of these principles, a lawyer must with courage and foresight be able and ready to shape the body of the law to the ever-changing relationships of society. “Ratio est radius divini luminis. Reason is a ray of the divine light.” Henry Campbell Black, A Law Dictionary (West Publishing Co.: St. Paul, Minn., 1891) (hereinafter “Black’s 1st”), p. 995. “Ratio est formalis causa consuetudinis. Reason is the formal cause of custom.” Id. “Ratio est legis anima, mutata legis ratione mutatur et lex. Reason is the soul of law ; the reason of law being changed, the law is also changed.” Id. “Personal liberty consists in the power of locomotion, of changing situation, of removing one’s person to whatever place one’s inclination may direct, without imprisonment or restraint unless by due course of law.” William Blackstone and John Innes Clark Hare, cited in John Bouvier, Bouvier’s Law Dictionary, Third Revision (Being the Eighth Edition), revised by Francis Rawle (West Publishing Co.: St. Paul, Minn., 1914) (hereinafter “Bouvier’s”), p. 1965 (s.v. “Liberty”). “Due process of law is process according to the law of the land. . . .” Mr. Justice Matthews, delivering the opinion of the Court in Hurtado v. California, 110 U.S. 516, 533, 3 Sup. Ct. 111, 292, 28 L. Ed. 232 (1884). “Under the Roman law, civil liberty was the affirmance of a general restraint, while in our law it is the negation of a general restraint.” Ordronaux’s Constitutional Legislation, quoted in Bouvier’s, p. 1965 (s.v. “Liberty”). A list of dictionaries to find original definitions and meanings of words in; we find that Black’s Law Dictionary 4th Edition is sufficient as it has lawful and legal definitions. SYLLABUS: Herein a brief explanation is laid on how the Fourteenth Amendment operates in reference to a citizen in regard to legal fictions (i.e., or presumptions).3 While studying this material, please keep in mind a master can give any “right” to his slaves that he deems appropriate. No court and no judge can overturn or disregard or abrogate somebody’s Affidavit of Truth. The only one who has any capacity or right or responsibility or knowledge to rebut their Affidavit of Truth is the one who is adversely affected by it. It’s their job, their right, their responsibility to speak for themselves and to issue their own affidavit because no one can speak it for them. No one else can know what their truth is or has the free-will responsibility to state it. This is the plaintiff’s job. When we do a counterclaim does that mean their claim is no longer active? Yes, courts temporarily lose jurisdiction because in the first cause of action the question of jurisdiction is the issue. They must prove they have jurisdiction before they may proceed. “Jurisdiction of the person and of the subject matter is not alone conclusive [and] the jurisdiction of the court to make or render the order or judgment” depends upon due observance of the constitutional rights of the accused. 25 Am.Jur., Habeas Corpus, sec. 27, p. 161. See also Palmer v. Ashe, [342 U.S. 134, 72 S.Ct. 191, 96 L.Ed. 154]. It’s all about subject-matter-jurisdiction; from the herein information, one will discover that Admiralty courts in fact have no jurisdiction over we, the people and can only concern themselves with commercial transactions between pieces of paper. And, when one objects to the subject-matter-jurisdiction the court may not proceed. “As a general principal, standing to invoke the judicial process requires an actual justiciable controversy as to which the complainant has a real interest in the ultimate adjudication because he or she has either suffered or is about to suffer an injury.” People v. Superior Court, 126 Cal.Rptr.2d 793. The highest law is divine being a rule given by divine instruction as nothing may contradict such a rule. The second highest law be the reason of mind, being an edict given by a great council of wise elders or jurists, as nothing absurd and without good reason may be considered law. The third highest law be the law of the people, as the consent and will of the people is the source of true authority. The 144 truths of law at the below link best sums up what law is. Punishment is just more violence and does not improve the situation for the victim. It just creates more violence and violence begets more violence making the situation for society worse. This suits some people and these legal codes spawned a rash of lawyers, our modern day scribes. Man’s Law in place of Divine Law. What could possibly go wrong? In this chapter we will present various examples to show how bankers have throughout history violated traditional legal principles in the irregular deposit, and we will consider the reasons behind the failure of society’s regulatory mechanisms to put a stop to these abuses. We will also contemplate the role of governments in this process. Far from endeavoring to scrupulously defend property rights, they supported bankers’ improper activity almost from the beginning and granted exemptions and privileges in order to take advantage of this activity for their own uses. Thus the intimate complicity and solidarity traditionally present (and still existent) in relations between state and bank institutions. To understand why the different attempts to legally justify abuses have failed, we must first properly understand the legally corrupt origin of fractional reserves in monetary bank deposits. In the last chapter we presented the clear, coherent legal nature of the monetary irregular-deposit contract. Undoubtedly, those who from the beginning received money from their fellow citizens for safekeeping knew the obligations they were taking on, specifically, to guard the tantundem like a good parent, to keep it constantly available to the depositor. This is precisely the meaning of safekeeping in a deposit contract of a fungible good. However, while the legal nature of the irregular deposit contract is clear and easy to understand, human nature is imperfect and weak. Therefore it is comprehensible that those receiving monetary deposits were tempted to violate the safekeeping obligation and use for themselves money that should have been kept available to others. The temptation was very strong: without depositors realizing it, bankers could handle large amounts of money; and if they used it well, it could generate substantial profit or interest, which bankers could keep without openly harming anyone.1 Given the weakness of human nature and the almost irresistible temptation felt by bankers, it is comprehensible that the traditional principles of safekeeping on which the monetary irregular-deposit contract is based were violated from the very beginning in a concealed manner. In addition, given the abstract, confusing nature of monetary relations, most citizens and the majority of authorities in charge of enforcing moral and legal principles failed to notice this phenomenon, except in rare instances. 1We are referring to the most obvious source of profit, which initially motivated bankers to misappropriate depositors’ money. In chapter 4 we will examine a source of much greater earnings: the power of bankers to issue money or create loans and deposits out of nowhere. The resulting profit is immensely larger; however, as it arises from an abstract process, it is certain not even bankers were fully aware of it until very late in the evolution of finance. Nevertheless, the fact that they did not understand, but only intuited, this second type of profit does not mean they failed to take advantage of it completely. In chapter 4 we will explain how bankers’ violation of traditional legal principles through fractional-reserve banking makes it possible to create loans out of nowhere, the return of which is then demanded in hard cash (with interest to boot!). In short, we are dealing with a constant, privileged source of funding in the shape of deposits bankers create out of nothing and constantly employ for their own uses. Page 3 of 78 – already been in operation so long and had acquired such power that it was practically impossible to effectively curb corruption. Moreover, the gradual discovery authorities made of banks’ immense power to create money explains why, in most instances, governments ended up becoming accomplices to banking fraud, granting privileges to bankers and legalizing their improper activity, in exchange for the opportunity to participate, directly or indirectly, in their enormous profits. In this way they established an important alternative source of state funding. Furthermore, this corruption of the state’s traditional duty to define and defend property rights was encouraged by governments’ enormous, recurrent need for resources, due to their historical irresponsibility and lack of financial control. Thus, a more and more perfect symbiosis or community of interests was formed between governments and bankers, a relationship which to a great extent still exists today. 2Luis Saravia de la Calle, Instrucción de mercaderes (Medina del Campo: Pedro de Castro, 1544; Madrid: Colección de Joyas Bibliográficas, 1949), chap. 8, p. 179. And neither may the king – this is the most important part of the book’s contents- obtain fiscal revenue by lowering the metal content of the coins. De Mariana realized that the reduction of the precious metal content in the coins and the increase in the number of coins in circulation is simply a form of inflation (although he does not use this word, which was unknown at the time) and that inflation inevitably leads to a rise in prices because, “if money falls from the legal value, all goods increase unavoidably, in the same proportion as the money fell, and all the accounts break down”.